Just thought I would poll the general public regarding this years striped bass fishing/ Blue fish. 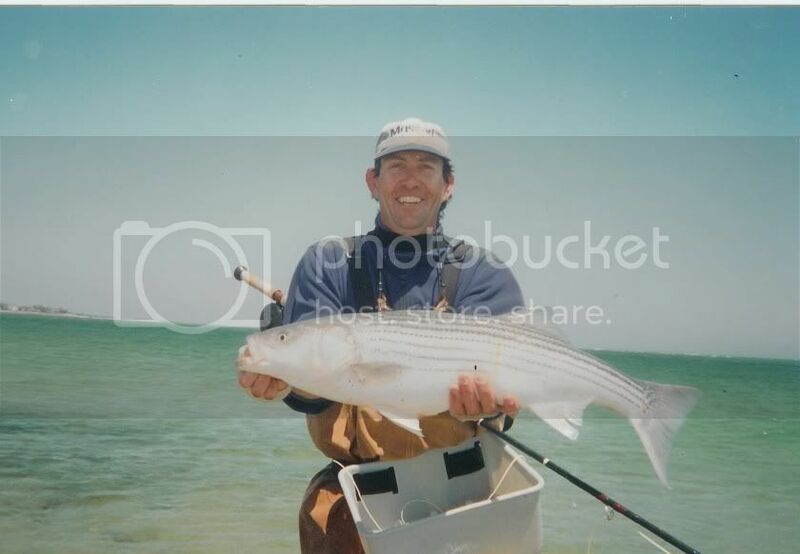 I used to fly fish for striped bass a lot in the late nineties. From what I have heard the fishing for Bass from shore this season has been dismal at best. How does everyone else who fishes for them feel? Does anyone believe that lower catch rates from shore is due to the beaches structure changing after sandy. Are people not catching as many fish because they are not as familiar with the structure? Or is it population decline or a combination of both? I have some vacation time coming up and was wondering if it might be worth it for me to drive an 1 hr and a 1/2 on way mid week to peek around and give the not so local local fishery a go. If so would others agree that it would be worth it to pony up and buy the night pass for Sandy Hook? They're all the same color when you turn the lights off so yes, purchase the night pass. Another devolving post, courtesy of Simms. Wylie- my buddies in the redbank-monmouth beach area are spin guys- but had a really good window in may to early june. Many of them were on boats, but somewhat close to shore- and the fish were definitely there. I even heard people were getting into big blues and stripers in the navesink up by red bank , and that isn't something I've heard for a long time. The navesink has been a bit off now for some time- and the weakfish population is all but gone. I personally gave up on the salt long ago bc it seemed too much of a timing game and when the fish aren't there u didn't have a reason to be either. I'm hearing mixed reports this year. Some guides are really panicked I think. Perhaps the migration has shifted due to the hurricane, or whatever, so the data is probably misleading based on who you ask and where they are. I don't like to fish for unpredictable, migratory saltwater fish from the shore. I don't like to chase them in boats, either. Perhaps a skiff or a platform boat would be different. Salt flats fishing for any species is awesome, tho. Wading barefoot, in the sand, is good for old bones. I think it is slow due to the FFMP flow plan!!! It gets blamed for everything else!!!! As some have mentioned already there have been a lot of bass caught this season but most have been taken on boats a little ways off the beach. These larger migratory fish have not been in the surf much. Hurricane Sandy and now the resulting beach replenishment projects have really done a number on the area I fish. A lot of the locals have also been noticing the lack of what they call resident bass; the smaller to just-keeper-sized fish that could usually always be found all season long. I remember quite a few years ago now, fishing for winter flounder with a friend of mine - we could easily catch dozens to hundreds of them at a time. The first time we pulled up on a spot in Raritan Bay and I looked at what were literally thousands of boats fishing for them, I wondered how the species could survive. Fast forward to today and look at the limits we have on them now. (12" minimum - 2 fish per person?). When the stripers were in thick on the sand eels at Island Beach in November a couple of years back, it looked like a floating city out on the water pounding the fish for weeks, not to mention the hundreds or thousands of guys on the beach. It seems like the stripers are headed for the same fate as the winter flounder. Who knows, maybe the real reason the fish have stayed off the beach is because over the winter I finally picked up the Beulah 9-10wt surf rod I've been wanting. Problem is they don't make 10'' Berkley Swimming Mullet. Great responses guys! It is unarguable that the population is on the decline and that we need stricter regulations for them. However with that said I would like to know if the population has declined below that of the late 90's. From what I remember N.J. never seemed to hold fish as well as a lot of other states due to structure or lack of structure. Add into the equation the beach replenishment program post Sandy the cards are definitely stacked against us wade fisherman for some time.